Hello everyone. Stop reading further and go fetch your helmet. Because what lies ahead is mind-blowingly awesome. About a month and half ago, we held our annual dashboard contest. This time the theme is to visualize state to state migration in USA. You can find the contest data-set & details here. We received 49 outstanding entries for this. Most of the entries are truly inspiring. 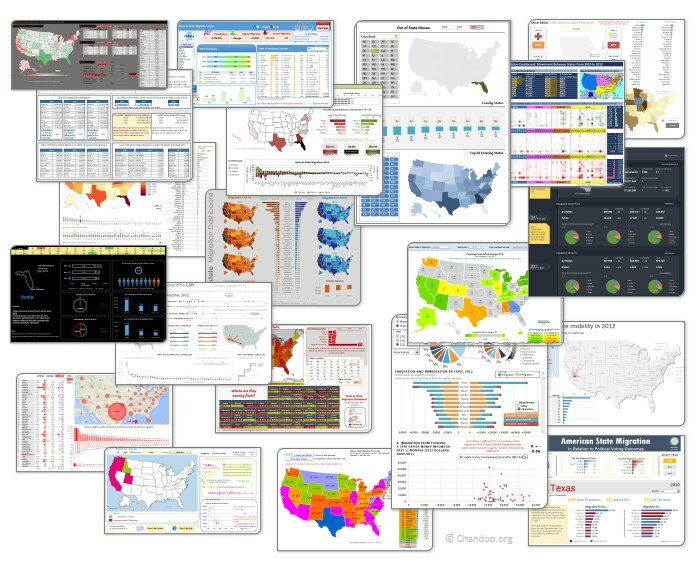 They are loaded with powerful analysis, stunning visualizations, amazing display of Excel skill and design finesse. It took me almost 2 weeks to process the results and present them here. Click on the image to see the entries. 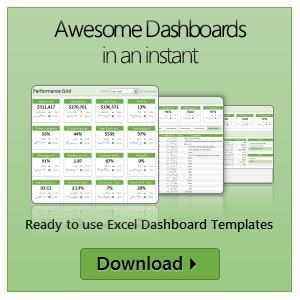 10 Excel Keyboard Shortcuts I can’t live without! Everyone and their colleague knows the importance of Excel keyboard shortcuts. While it may be a good idea to know a 97 different shortcuts for everything in Excel, the fact is, you don’t use them all the time. So, it all boils down to memorizing the few shortcuts that you use all the time. In this post, I am sharing 10 such shortcuts that I can’t live without, especially, when I am analyzing data, making charts and formatting my workbooks. Few days ago, we published an article on how to create interactive dashboards using hyperlinks. Many of you loved this tutorial. But quite a few of you also said, this tutorial is a bit complex to follow. So, I made a short video explaining how the UDF and interactive hyperlinks work and how our dashboard is weaved together. Last week we learned how to create dynamic hyperlinks in Excel. Today, I want to show you something even cooler. An interactive dashboard based on hyperlinks, like shown above. Well, to create something like this, you don’t need a degree in advanced cryogenics. You just need a bunch of data, a chart, a one line macro code and some pixie dust (go easy on pixie dust). During one my recent training programs, a participant asked an interesting question. I have a list of values. 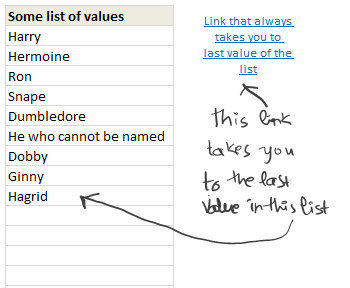 I would like to place a hyperlink in my workbook that would always take me to the last value in the list. Click on the image to learn how this is done. Learn how to create a birthday reminder worksheet in excel in this video post. You can also download a template to keep track of upcoming birthdays and anniversaries.